So on new years eve this this past year, my father and I were in the kitchen; cooking and baking together. I noticed he was making something delicious. 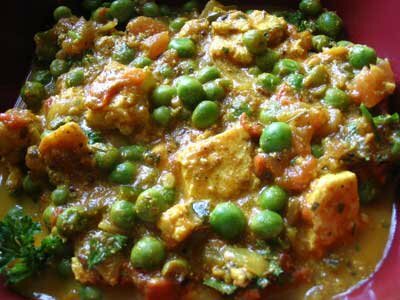 One of his many specialties, Mattar Paneer. From and Indian food cookbook he got many years ago, my father has mastered this recipe. It's one of my favorites, so I thought I would share it with you. 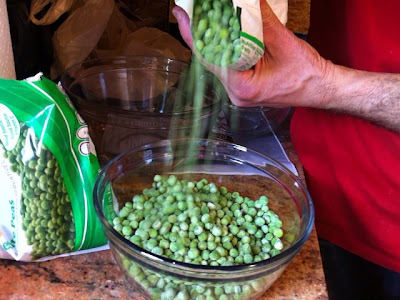 Frozen peas work well for this recipe. I used to think cilantro was the most disgusting thing, ever. I couldn't handle even the tiniest bit in my food. 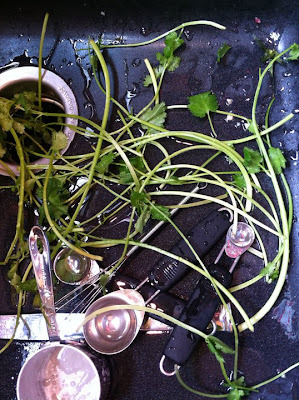 Now, however, I've branched out in the cilantro world, and really enjoy it! Cheese is left out before being cooked to dry out a bit, so it doesn't splattered while in the pan. Spicey, cheesy, peasy, goodness. Period. 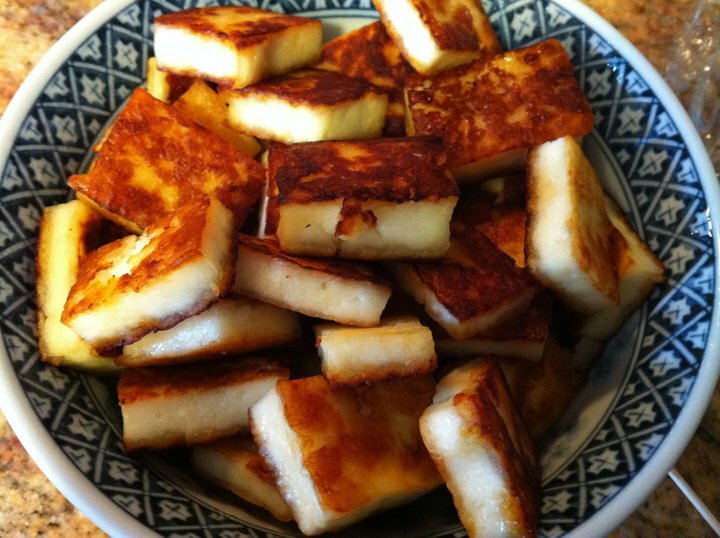 Cut the paneer into small sized cubes. Fry them on medium flame until they turn light brown. Occasionally turn the cubes while frying. Take them out. Chop the tomato, onions, and green chilli. Make a paste by grinding it in a grinder. Now fry this paste for 8-10 minutes. Add ginger-garlic paste and mix well. 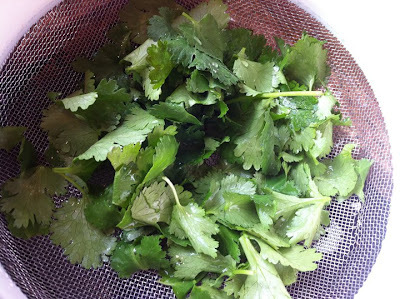 Heat rest of the oil and fry bay leaves along with cloves for about 30 secs. Add the prepared paste and fry on a medium flame until it turns golden brown. Add poppy seeds, turmeric powder, red chilli powder, garam masala, black pepper powder, coriander powder and salt. Mix them well. Now add green peas and fry for about 2 to 3 minutes.